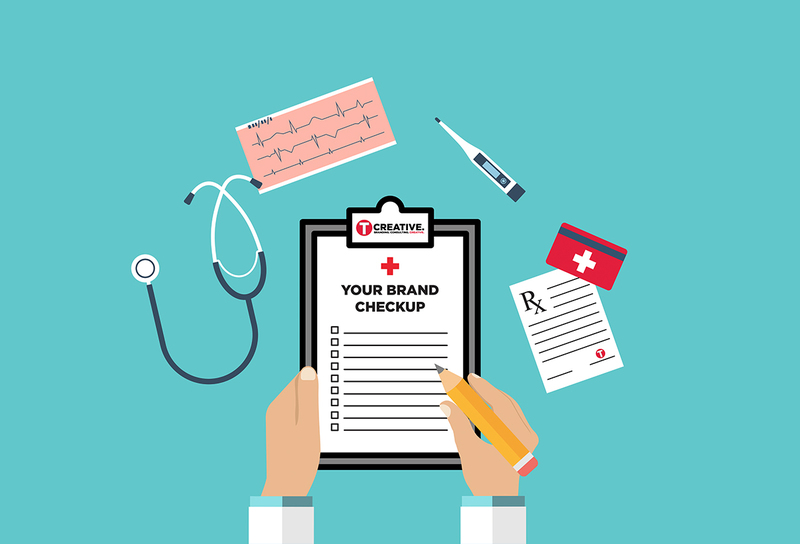 A few tips for how to give your brand a check-up is below and we recommend that you schedule it on an annual basis. Things change quickly these days and it can be fairly easy for a brand to be at risk for looking dated or failing to stand out against competitors in the market. Differentiators are your unique features or benefits of your brand that set you apart from competing brands. Take a look at your competition to make sure that you continue to offer a unique client experience, service, or product and that your brand’s messaging clearly communicates this. Is your logo still relevant and eye-catching? Does it clearly communicate what you do and are the colors appropriate for your industry? Also, check your print collateral, email blasts, website, social media, signage, etc. to make sure you look professional. If you have customers coming directly to you, make sure your company’s brick and mortar atmosphere is inviting, comfortable, and clean. Make sure every person at every level of the operation knows what your brand stands for and is consistent in how the brand is communicated. Are call scripts current and up to date? Does each person answer the phone with the same message? Are all emails set up with the same email signature? Choose approximately ten people at random for an informal conversation about your company’s brand. These people should include employees, customers, end users, and even people who do not use your brand. This will allow you to get some honest feedback from a variety of sources. New tools, services, and opportunities for collaboration pop up all the time that will help you more clearly communicate your brand, but you won’t find them unless you are looking. Your brand should be clearly and quickly recognizable. Colors, fonts, design elements, and messaging should be consistent no matter where your brand appears. Act now to reinvigorate your brand and give it the pulse it needs to thrive in today’s climate. Of course, if you need help to do this, we’re here for you.